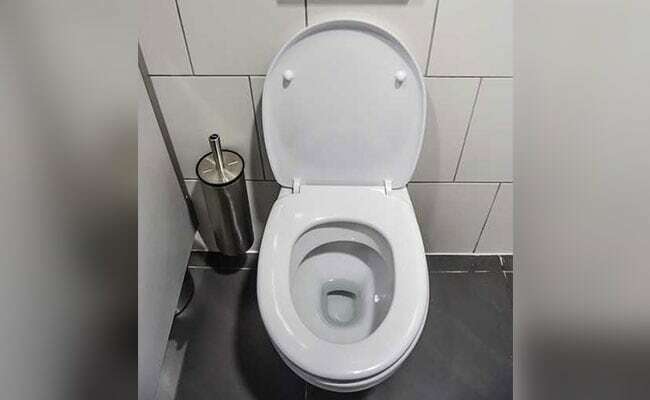 The toilet part's price was confirmed by Air Force media relations chief Ann Stefanek in a phone conversation and in a separate interview with Assistant Air Force Secretary Will Roper. To the Air Force, it's a "cover-center wall, troop compartment latrine ... required to protect the aircraft from corrosion damage in the latrine area." To the rest of us, it's a toilet cover. And until recently, it had a price tag of $10,000. Officials said last week that the U.S. Air Force paid about $10,000 each to replace toilet seat covers on the C-5 Galaxy, a Vietnam-era military cargo plane that is still in service, at least three times and as recently as last year. The reason, they say, is that the plane's manufacturer no longer produces the part, forcing the government to order a customized one when it needs to be replaced. More recently the service has been able to cut the average cost of the toilet cover to about $300 by using a 3-D printer, an approach that top officials want to replicate for other acquisitions. "We are not now, nor will we in the future buy that aircraft part at that price, because we can now do so more cheaply using 3-D printing," Stefanek said, referring to the toilet seat cover on the C-5. "Using this new process allows us to make parts that are no longer in production and is driving major cost savings." Their comments came after Sen. Charles E. Grassley, R-Iowa, raised the issue in a June 6 letter to Defense Department Inspector General Glenn Fine, which in turn cited a May 29 article in the trade publication Defense One. Grassley's office released the letter publicly last week. Air Force officials describe the $10,000 toilet cover as a case of supply-chain economics gone wrong. The C-5 dates to the 1960s, when it was used to move troops and cargo during the Vietnam War. Lockheed Martin, the plane's original manufacturer, shut down its C-5 production line in 2001 when the military stopped buying new models. But the Air Force still counts 52 of them in its fleet, and some of them have been put to use in Iraq and Afghanistan. Keeping the old planes ready to fly means bits of hardware occasionally need to be replaced. Since the Air Force maintains painstakingly specific requirements for equipment components - even toilet parts - doing so is rarely as simple as a trip to Home Depot. The Air Force says that with the Lockheed's C-5 production line no longer active, there is no company with a fully staffed assembly line ready to produce exactly what it needs. That means the government has to hire a manufacturer to make a mold of the original toilet seat cover, redesign two-dimensional drawings to make sure the cover fits, manufacture a mold for the part, and then produce it - effectively reverse-engineering the toilet cover and building it from scratch. A profit-minded government contractor might be persuaded to absorb those costs if it could spread them across hundreds or thousands of toilets. But when the payoff is just one sale, businesses demand a higher price. Still, Air Force officials said such situations should be avoidable. "If we can't make (airplane parts) ourselves we have to live with what the market can produce at a profitable level," Roper said. "But of course we should not be paying industry for something that we can make more cheaply ourselves." Lawmakers weighing whether to increase funding for the military do not appear to take that argument seriously. After all, it's a toilet part. In his letter, Grassley chided the Defense Department over what he called a "spare parts rip-off." He drew parallels to a similar incident in the 1980s, also involving the C-5's toilet, in which it was disclosed that the toilet seat itself cost $640. The toilet seat became a symbol of government waste in the Reagan era; longtime Washington Post editorial cartoonist Herblock would often depict Defense Secretary Caspar Weinberger with a toilet seat around his neck. "Thanks to Mr. Roper ... we now have, some 30 years later, an on-the-record updated price for a new airborne toilet-related item - $10,000, and that's just for the cover," Grassley wrote, describing Roper's justification as "not credible" and "in need of scrutiny." Good-government advocates similarly chided the Air Force. "The fact that the Air Force paid $10,000 per toilet seat cover last year is concerning because it shows a lack of foresight of needs and being good financial stewards of taxpayer dollars," said Scott Amey, general counsel of the nonprofit Project on Government Oversight. Loren Thompson, a defense consultant who works for the Lexington Institute, a think tank that gets funding from defense contractors, said he is worried that the military will be unable to buy next-generation weapons systems if it spends too much on overpriced spare parts. "There are probably thousands of examples like this, because since the Cold War the entire fleet is getting old," he said. "Once parts are out of production, replacing them becomes extremely expensive because they all have to be custom built. On the other hand, nobody wants the toilet to have no top when you make a 90-degree turn. That could be a problem." To his point, about 70 percent of the Air Force's budget goes to "sustainment" of aging equipment. Such costs apply not just to the Air Force's cargo planes but also to Army vehicles such as the M1 Bradley tank and the Navy's Ohio-class nuclear submarines, for example. Some important systems are older even than the C-5: Boeing's B-52 Stratofortress, which would theoretically be among the U.S. military's options to deliver an air-launched nuclear warhead in the event of nuclear war, dates back to the 1950s. These vehicles become more expensive to maintain as they age, and the taxpayer doesn't always get the best deal when the military goes shopping for parts. The Defense Department Office of the Inspector General said in a 2015 summary of 32 parts-related audits that the government spent $154.9 million more than was necessary for such items, often because the government failed to negotiate effectively. The spending issues include $645 for a dime-size gear from Boeing that sold elsewhere for just $12.50; overpayments for vehicle repair parts that resulted in the Humvee manufacturer AM General being told to pay the military back; and alleged overpayment for engine parts for Pratt & Whitney's F117 Nighthawk engine. In some cases, the government has been forced to go to a monopoly supplier because a company holds a patent. That's what happened in late February when the manufacturing giant United Technologies was awarded a $2.5 billion contract to supply a grab bag of spare parts such as landing gear and flight sensors - complex items for which the company owns intellectual property. In his interview with Defense One, Roper suggested that a possible solution for such situations would be for the Air Force to simply print the part and pay the contractor "some kind of profit margin or royalty." "If we had kind of a licensing or fee agreement with them, we should be able to print that part and they get a kickback or a royalty and off we go," he said. "It's that kind of creative thinking that we need to do." The Air Force wants to use 3-D printing to solve such problems. For more than a year the service has been using "additive manufacturing" methods to make more expendable items such as toilet parts and door handles, with plans to later move on to more important components. So far, one C-5 toilet cover replacement has been printed using this method, at a cost of about $300, Stefanek said. Roper says he wants to use technology to drive long-standing inefficiencies out of the Pentagon's vast supply chain. "I want to get where we can supply parts that we can't get elsewhere," Roper said. "Right now we're reacting to parts for planes that were built decades ago."